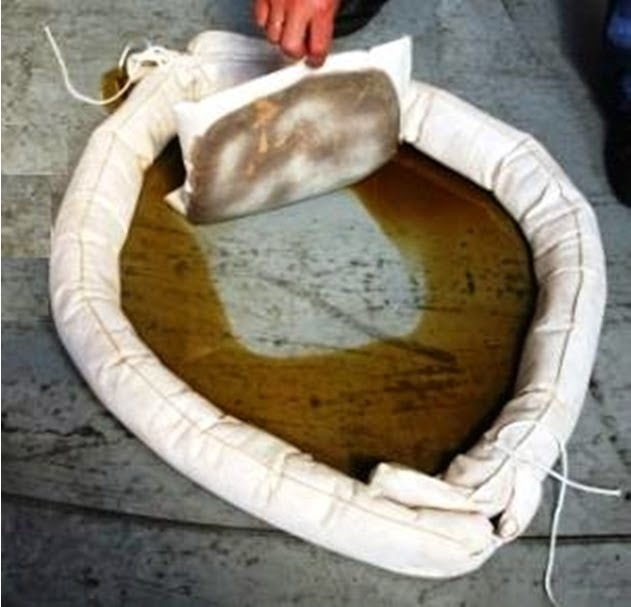 Cl Solutions provides special microbial blends for the bioremediation of different contaminant types. However, the advantage of the Pseudomonas sp. in our products is that they have multiple metabolic capabilities, which means for example that a blend optimized for cometabolism of chlorinated solvents can also be effective in petroleum removal. A recent study by a user of our products showed that the CL Solutions’ patented approach for 1,4-dioxane bioremediation can also degrade a range of chlorinated volatile organic compounds (CVOCs). 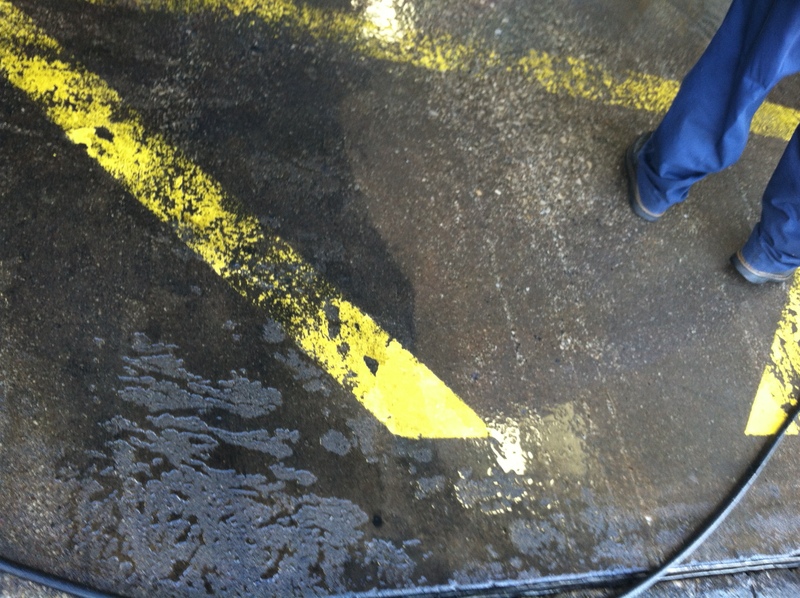 Petrox removal of petroleum compounds and trace levels of chlorinated solvents. Petrox cometabolism of MTBE using petroleum components as a substrate and removing them simultaneously. CL-Out simultaneous removal of nitrates and perchlorate. Feel free to check out the case studies or call us for more information. Underground storage tank (UST) leaks from a former gas station contaminated shallow ground water under a parking lot for a commercial building. The UST contamination was found during trenching for utilities. As the presence of contamination prevented further property development, fast remediation was important to the stakeholders. The size of ground water plume that resulted from leaching soil contaminants was estimated to be 5,000 square feet. The contamination was mainly diesel-range petroleum constituents, with the highest concentrations in the aliphatic range, but there were also scattered detections of xylene, toluene, and ethylbenzene. 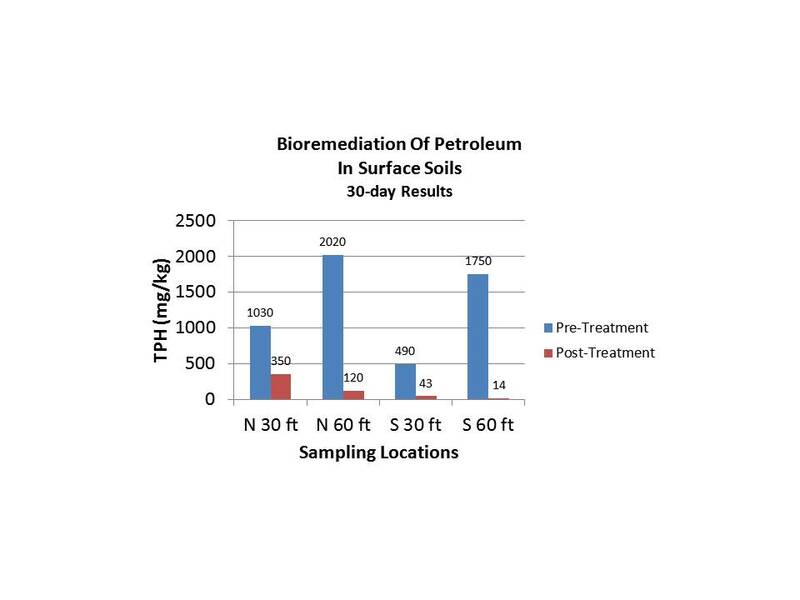 Petrox bioremediation was implemented in the ground water. Three units of Petrox (165 gallons) were injected into the contaminated ground water through vertical injection wells located up gradient of the monitoring wells. After a single inoculation of Petrox, the contaminant concentrations were reduced across the property. The following table shows the overall reduction in both the volatile and semi-volatile range hydrocarbons. Petrox bioremediation of surface spills and TPH accumulation in drainage ditches and maintenance areas is simple. Using a simple manual sprayer, the Petrox is applied to the soil surface. The Petrox microbes begin bioremediation immediately to enhance natural digestion of the petroleum, like probiotics for petroleum destruction. Unlike detergents that was the visible oil away, Petrox microbes destroy the all of the oil. The following chart and table show the results of the application of Petrox to petroleum-contaminated soil in a drainage ditch. 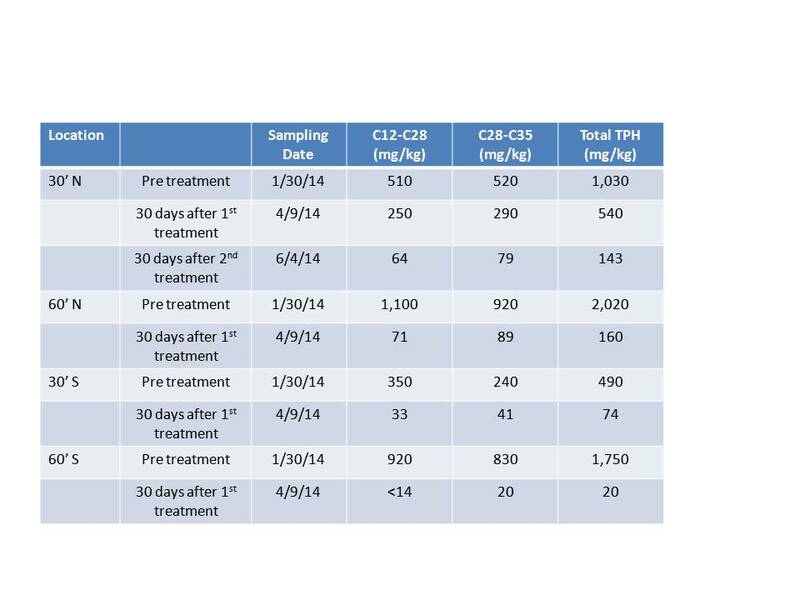 After about 60 days, the TPH concentration was reduced by 67% in one location and over 90% in three locations. A second application to the 30 ft. north area reduced the concentration even more. The problem was solved for a total Petrox cost of $600. While our products have been traditionally used for soil and ground water remediation, biological products are becoming more popular alternatives to chemicals for industrial maintenance. 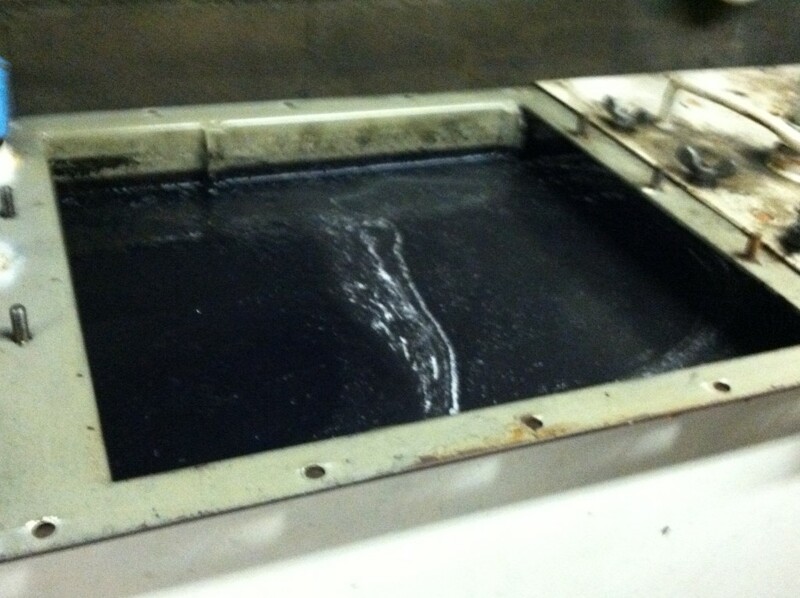 Petrox EC is used as a floor cleaner in areas of frequent oil and grease accumulation. One of the benefits of Petrox EC is that it does not make the floor slippery like detergent cleaners do. Petrox EC is a safe combination of a pH-neutral surfactant that removes the oil and grease and microbes that provide on-going residual cleanup. Petrox is used to improve the effectiveness of oil/water separators and industrial wastewater treatment. Petrox destroys the residual dissolved-phase or suspended oil that may cause permit violations. Petrox removes fuel oil at a rate of 15 mg/L/hr and edible oil at 22.6 mg/L/hr. Corksorb absorbents are a cost-effective, sustainable alternative to mineral and synthetic absorbents. With an absorption capacity of ten times traditional absorbents, Corbsorb absorbents are used in smaller amounts and socks and booms last longer without replacement. Together these products provide a full line of safer and sustainable industrial maintenance products without sacrificing quality. Call CL Solutions for a quote or to discuss your needs today 513-475-6625. Historical industrial sites often have deposits of fill material containing a wide range of organic contaminants. Perched ground water present in the base of the fill is usually impacted by the contaminants and may provide a mechanism for off-property migration of the contaminants. The organic contaminants are wide spread throughout the fill without a well defined source area. Cost-effective remediation is difficult with this combination of conditions. Bioaugmentation with CL-Out or Petrox can remove the contaminants from the fill and perched water by destruction in place. The organisms in CL-Out and Petrox can metabolize a wide-range of organic chemicals at concentrations from separate-phase layers to part per trillion levels. Soil and ground water contaminants are addressed simultaneously though injection of the microbes without disturbing the site operations. 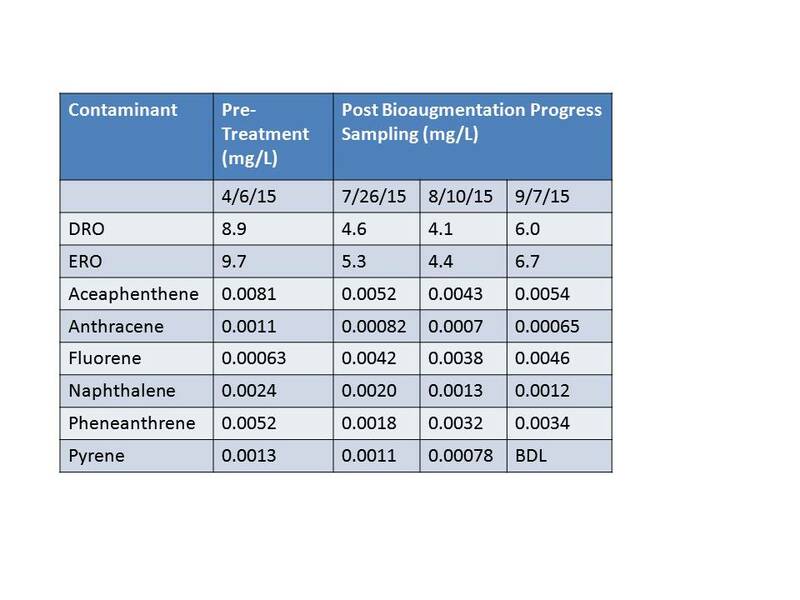 The following table shows typical results from a single application of Petrox to contaminated soil and perched ground water on July 10, 2011. The remediation progress was tracked by ground water monitoring because it was the easiest sampling method once wells were in place. The results show that within 30 days the contaminant concentrations in perched water were reduced by 50%. After 60 days there was slight rebound in come of the contaminants, showing that more soil treatment may be necessary if lower cleanup goals needed to be maintained.